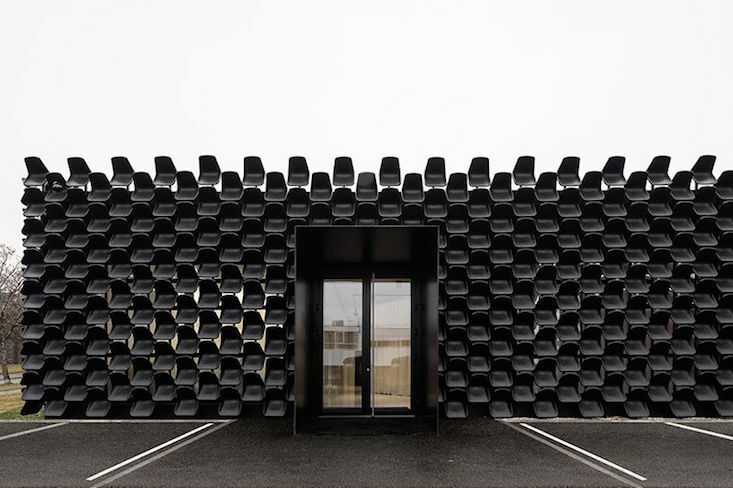 When a client asked them to transform the exterior of a furniture showroom, and “do it cheap, ideally for free”, Brno-based architects Chybik + Kristof had just the answer: 900 black plastic chairs. Chybik + Kristof clad three sides of the building with the very generic black plastic chairs, costing just 80 CZK ($3.30) each. 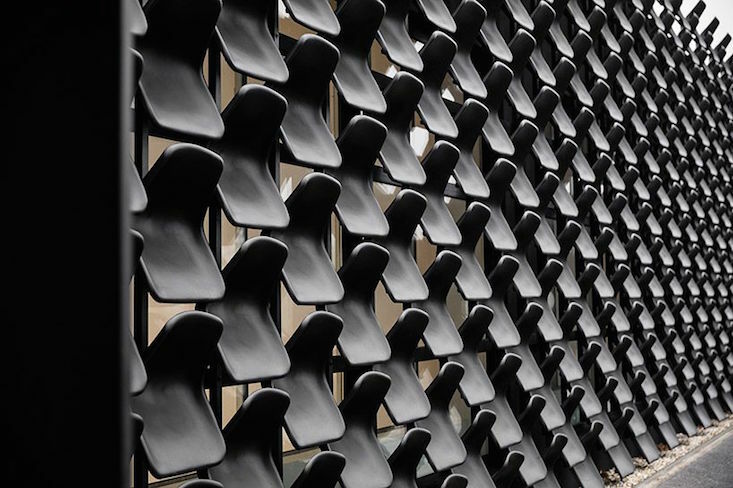 In their sculptural facade, requiring very little interference with the building's architecture, Chybik + Kristof created a cost-efficient exterior with a strong visual connection to the building's purpose. “We are a young studio and we think all our designs should be a bit funny [...] But in a smart way [...] sharing information about the building's programmatic function,” Ondrej Chybik said in an interview with design magazine Dezeen. The building's interior is equally innovative, with three circular galleries housed within the open-plan space. 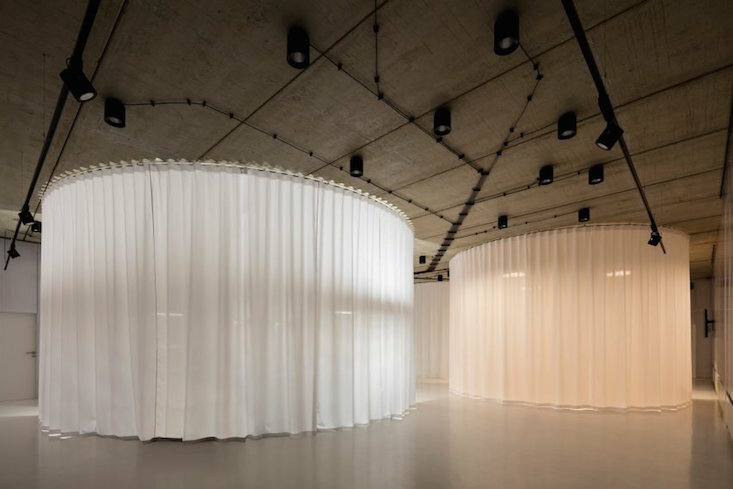 These are formed by floor-to-ceiling curtains that can be open or closed depending on the company's needs.